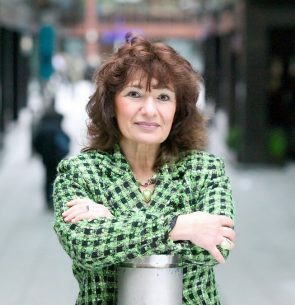 Lisa Appignanesi OBE is a prize-winning writer, novelist and cultural commentator. She is the Chair of the Man Booker International Prize 2018. She was for many years Chair of the Freud Museum London and President of English PEN. A former Deputy Director of London’s Institute of Contemporary Arts, she has judged many literary prizes. She is a Visiting Professor in Literature and Medical Humanities at King’s College London and was made a Chevalier de l’Ordre des Arts et des Lettres in recognition of her contribution to literature. Her non-fiction includes Trials of Passion: Crimes in the Name of Love and Madness, All About Love: Anatomy of an Unruly Emotion; Mad, Bad and Sad: A History of Women and the Mind Doctors from 1800 to the Present; Freud’s Women (with John Forrester); and a biographical portrait of Simone de Beauvoir. She is also the author of an acclaimed family memoir, Losing the Dead and nine novels, including The Memory Man and Paris Requiem. She was awarded the OBE for services to literature in 2013. She was elected Chair of the RSL in 2016.